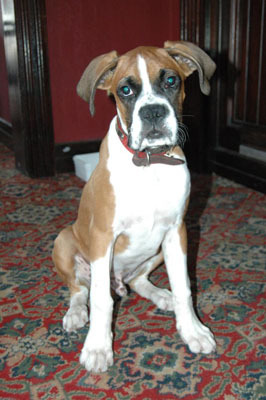 Following the loss of our beloved Rocky earlier this year we are delighted to announce that a boxer pup has come to live at the Crofts. His name is Oscar and he is now 5 months old and into everything as you can imagine. He is currently investigation other people’s bags on a search for gloves. He also barks if left alone.